I tried the apt man page but /colou?r give no matches. I tried Google but what I found is something on StackExchange that gave a reply for a specific use case, different from mine, and no reference resource. I'd like also a specific answer scratching my issue above, but what I'd like best is a pointer to some (un)official doc that explain the colors in apt and how to modify each default. 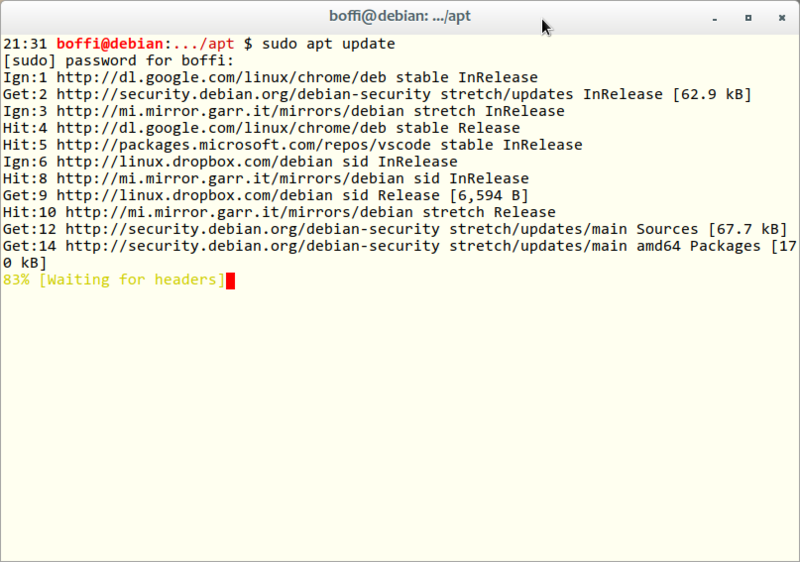 ps apt as the command line utility — the packaging infrastructure of Debian-like distros is Apt. Here is a partial answer, courtesy of David Kalnischkies of APT, on OFTC's #debian-apt. apt update -o APT::Color::Yellow="$(printf '\e[36m')"
Thanks to @sebasth for coming up with that printf incantation. 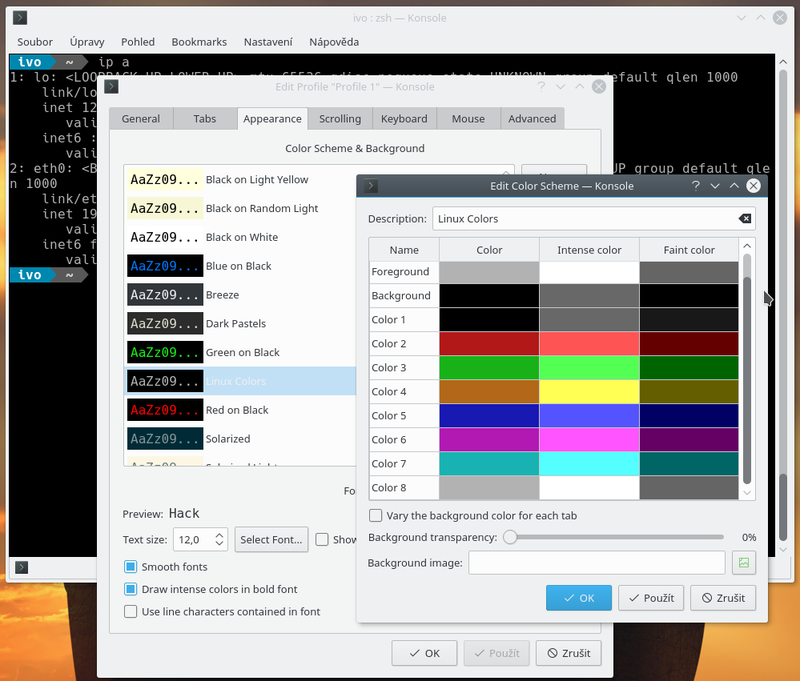 Each terminal emulator should have some color scheme editor. Just set colors, which are unacceptable, to better one. Not the answer you're looking for? Browse other questions tagged apt colors or ask your own question. What's the problem with terminals vs colors? Force apt(8) genereate color through pipe?